Free Shipping. Ships 5 to 7 Days. Master Manufacturing SEC-11-015A-MM 15 Gallon NEW DIRECTION Trailer Sprayer with 1.8 GPM Shurflo Pump. A NEW DIRECTION IN SPRAYING! 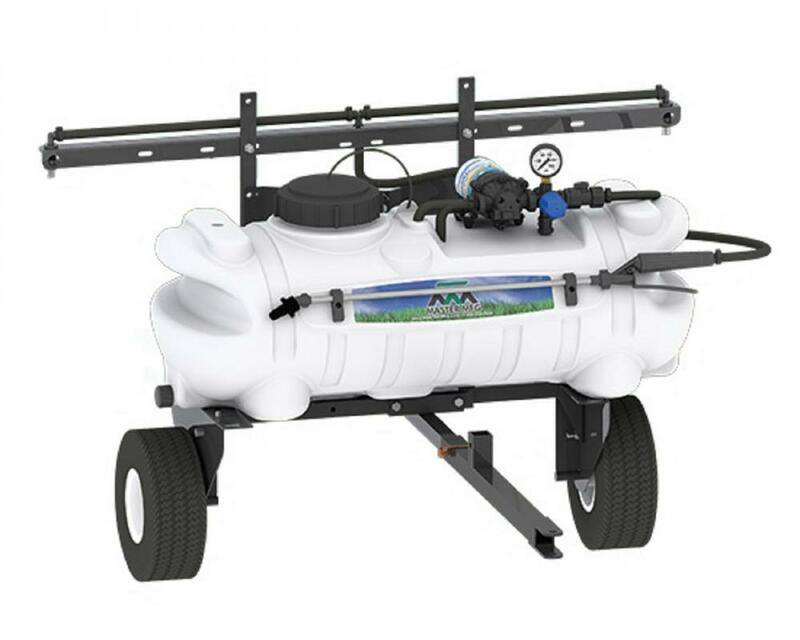 Horizontal Mount 15 Gallon Lawn Sprayer. 18″ Handgun with 15ft of Hose. Deluxe Spray Gun Option Available. Powder Coated All Steel Frame. Extended Tongue for Sharp Turning. SmartSpray Series Feature Both Lawn and Field Spray Tips for More Precise Spraying.